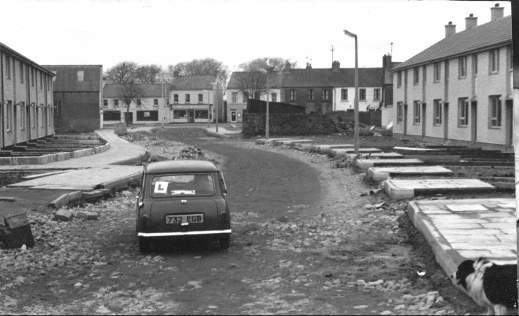 I came to Limavady about 40 years ago. 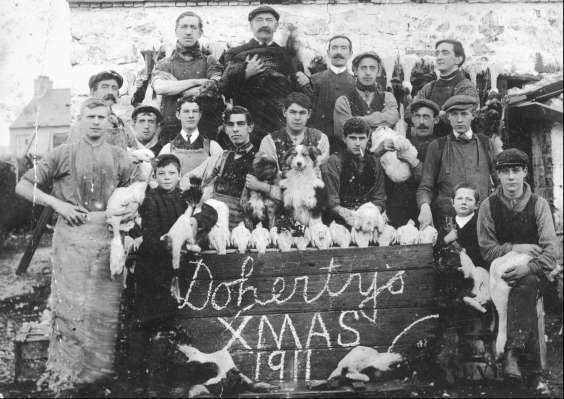 Recently I came across some photographs taken during that time which may be of interest to other people. I concentrate mainly on things that have changed during my time in this lovely town. The same street during renewal. 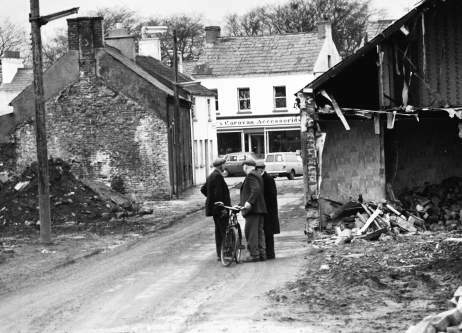 The damage was not caused by a bomb but by a few JCBs. The builders went bust and the street looked like this for a year or two. The old cattle yard is still visible. Entrance to the town. This must have been taken after the bomb at the old police station, because the war memorial roof looks a bit strange. 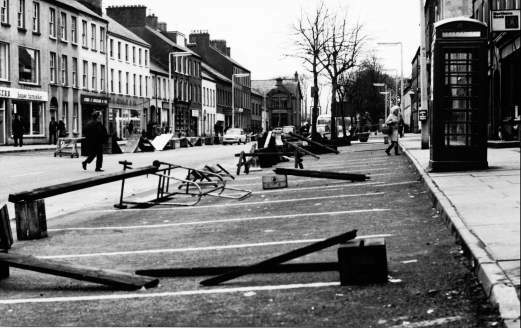 This picture of Main Street was taken after the first car bomb explosion in the town. The traders blocked the parking spaces with anything they could find. Can you spot yourself or someone you know? 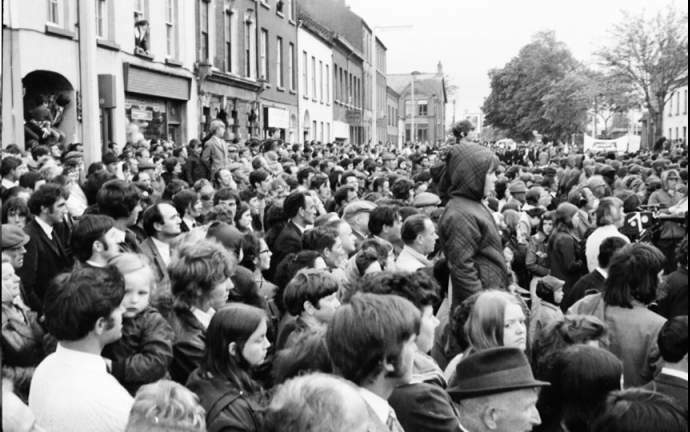 This picture was taken during one of the large demonstrations that were held in the town at that time. This one was donated by Willie Reid. 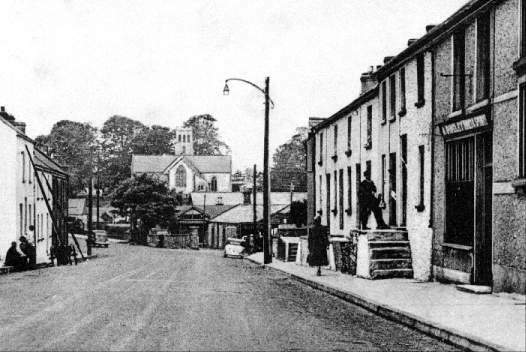 Ballyclose Street and Christ Church. 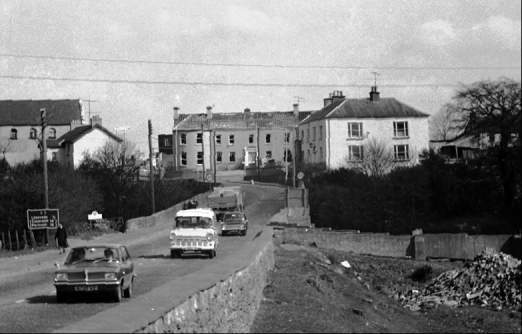 The house on the right with the sign above the door was the home of Peg of Limavady, in earlier days.